[Satnews] KVH Industries, Inc., (Nasdaq:KVHI) has begun shipment of the first order of tactical navigation systems to BAE Systems for a prototype program designed to produce a new fleet of US Army Armored Multi-Purpose Vehicles (AMPVs). KVH’s TACNAV® systems are designed to provide the vehicles with such critical elements as continuous heading and pointing data output and extremely accurate navigation regardless of GPS availability. Deliveries of the tactical navigation systems are part of a recent purchase order that covers the life of the program, which is expected to run through 2020. The initial order of 34 TACNAV II systems is supporting prototype vehicles, and there is potential for an option for additional systems to support the low-rate initial production (LRIP) of the vehicles. According to BAE Systems, the $1.2 billion AMPV program is designed to replace the U.S. Army’s Vietnam-era M113s and provide a significant upgrade that increases the service’s survivability, force protection, and mobility while providing for future growth potential. 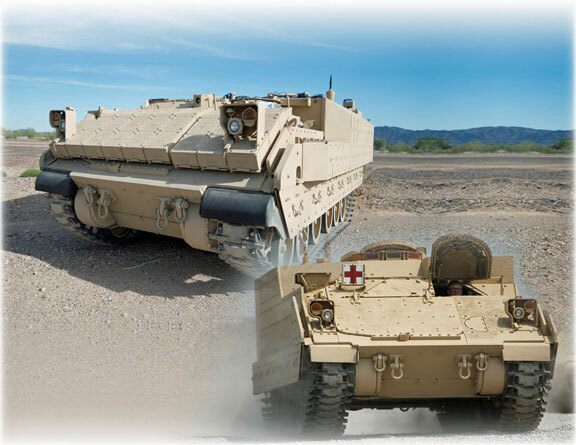 KVH TACNAV is a proven solution that has been serving soldiers for years in numerous armored vehicle programs, with more than 19,000 units fielded worldwide. KVH’s TACNAV military vehicle navigation systems provide unjammable precision navigation, heading, and pointing data for vehicle drivers, crews, and commanders. KVH’s proprietary fiber optic gyro (FOG) technology is a differentiating factor in enabling the TACNAV systems to provide extremely accurate heading and pointing data, which is crucial for situational awareness. The systems feature a compact design and flexible architecture ideal for today’s digital military. In addition, TACNAV is designed to integrate easily with Battle Management Systems (BMS), providing a vital component for effective battlefield management.